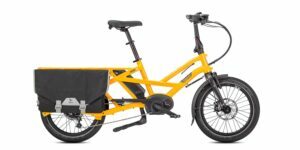 For the 2019 season, PEGASUS is introducing three electric bike models into the North America Market. 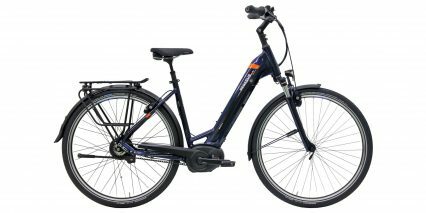 The PREMIO Nu is their top-end offering, and it comes decked out with everything you’d need for commuting, dealing with rain, and riding at night. The Nu is short for NuVinci, a company that offers continuously variable planetary transmission hubs. 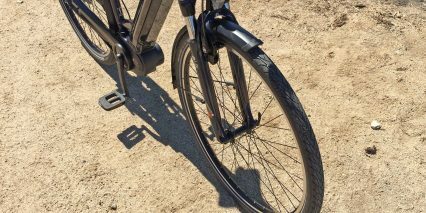 Instead of shifting gears through a derailleur or stepped internally geared hub, the NuVinci CVP offers a fluid range of gearing with 360-degrees of gear ratio that are roughly equivalent to an 11-40 tooth cassette. This system allows for shifting at standstill, which can be handy if you live in a hilly environment or plan on hauling cargo. 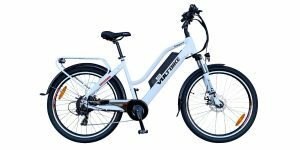 It’s a great choice for any mid-drive electric bicycle because you can empower the motor to operate efficiently without the wear of gear mashing. 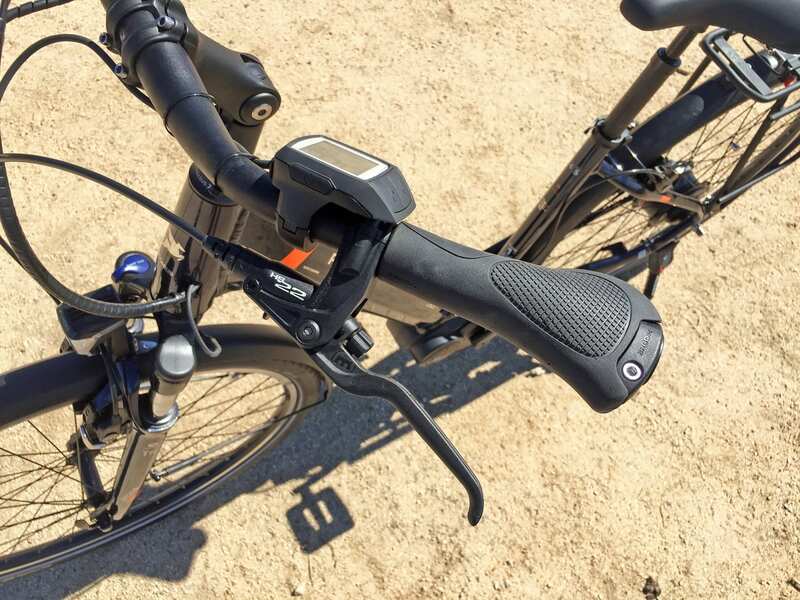 Anytime you stop, just twist the half-grip shifter down to a lower gear ratio to make pedaling from zero a cinch. 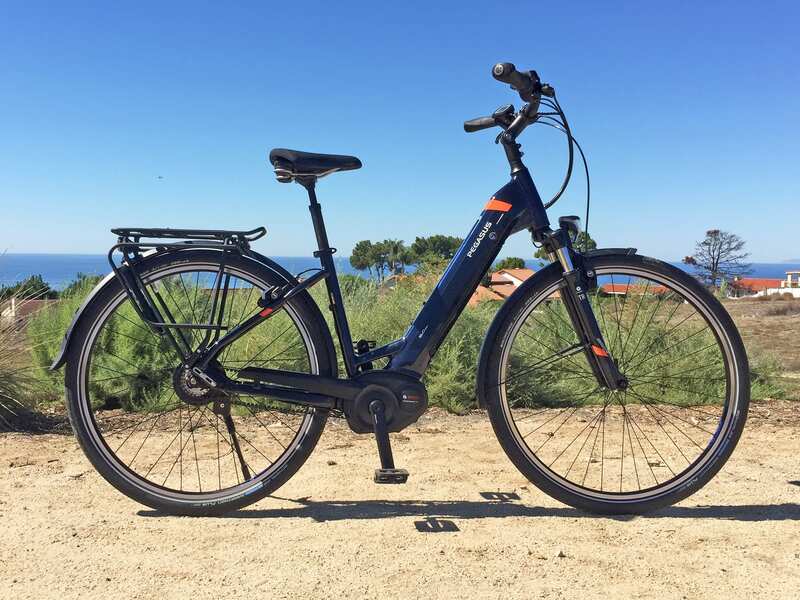 With the NuVinci drivetrain, 2+ year warranty and nation-wide dealer network, name-brand components, and multiple frame style and size offerings, the PREMIO Nu is an attractive product; even priced higher than an average commuter ebike at $4.7k. 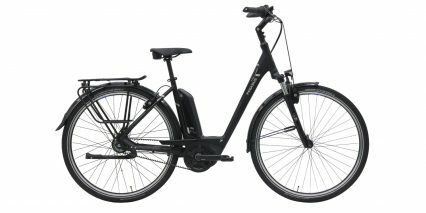 It weighs more than most of the other city and commuting ebikes I’ve reviewed, at roughly 64lbs. 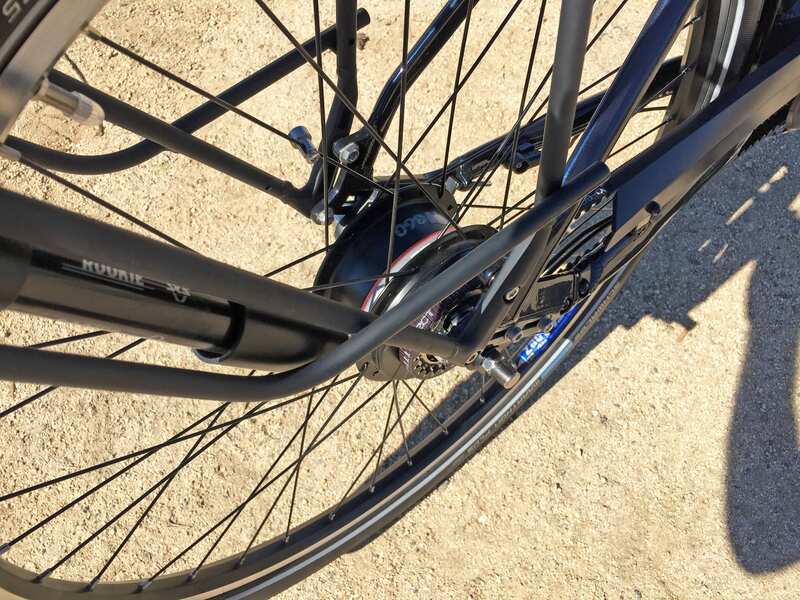 The NuVinci hub alone is roughly 5.5lbs vs. 1.5lbs to 2.0lbs for a cassette and derailleur. 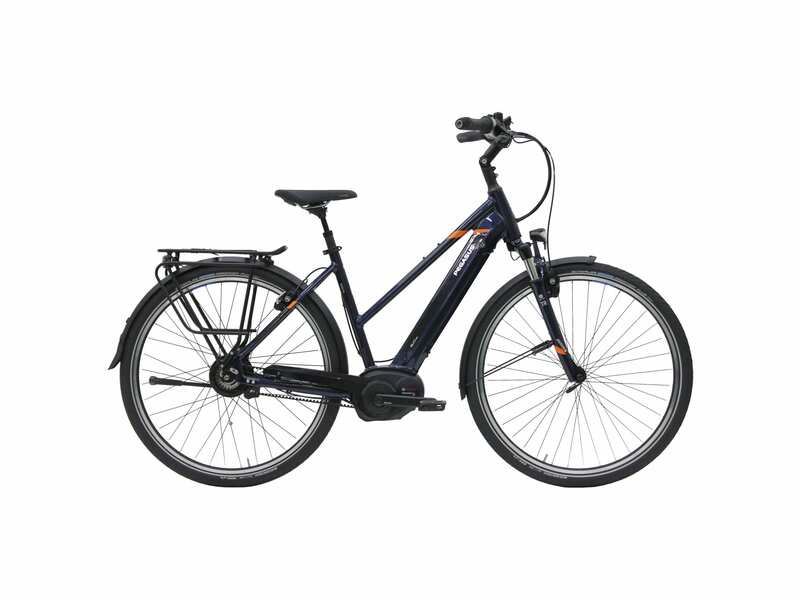 However, most of the motor and battery weight is positioned low and center on the frame for optimal handling. 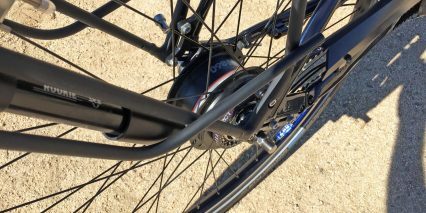 For those who want a trouble free and quiet drivetrain, it’s hard to beat any sort of internally geared hub and belt drive combination, like you get here. 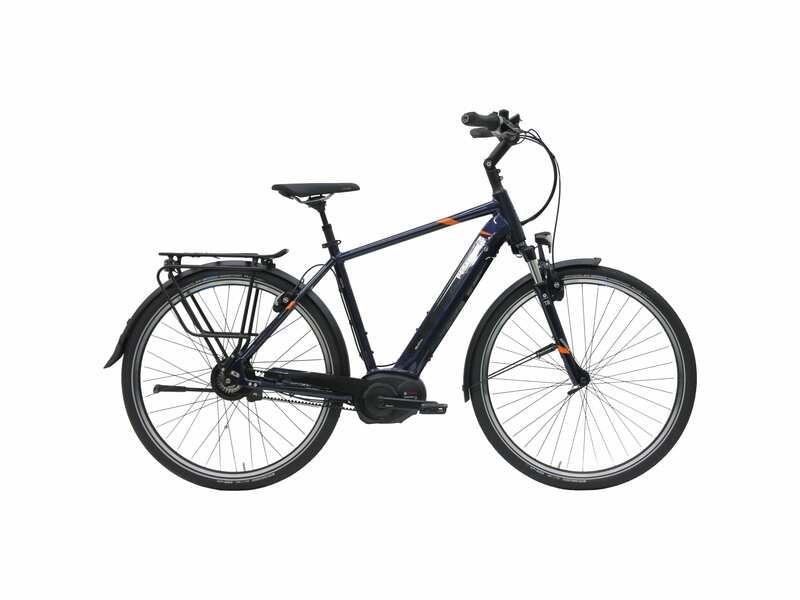 The Bosch motor, battery, and display panel are renowned for being intuitive and reliable and they compliment the puncture resistant tires, delivering a hassle free experience… as long as you keep the tire pressure between the recommended 40 to 75 PSI spec. 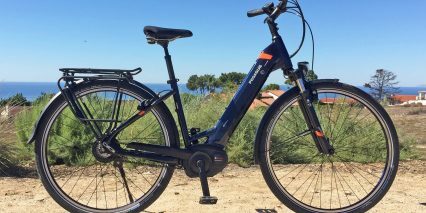 Driving this electric bicycle is a trail optimized mid-motor from Bosch called the Performance Line CX. It’s rated up to 75 newton meters, considerably more than the standard Performance Line and Performance Line Speed, which peak at 63nm. 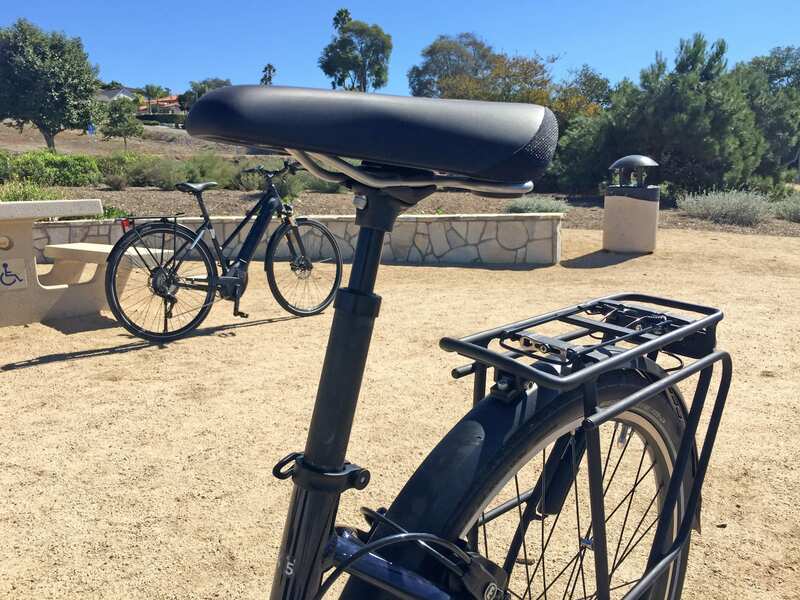 Given the slightly heavier footprint of this bike, the sturdy 55lb rated rear rack, and possibility of carrying heavier riders, it’s a great choice. 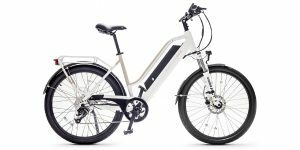 Part of me feels that the motor is overkill for this application, and it probably inflates the price a bit, but you do benefit from a special eMTB drive mode that only the Bosch CX offers. In this mode, which is the third step up just before Turbo, the motor performance can operate from 120% to 300% based on how hard you push. The other modes (Eco, Tour, and Turbo) have more limited power bands. 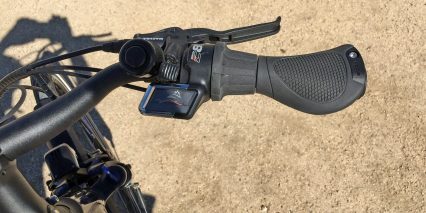 This drive mode was introduced as a way to make motor performance more automatic and intuitive for mountain bikers who might be focusing on trail obstacles and gear shifting. 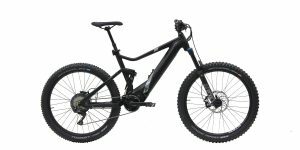 For the PREMIO Nu, which has super intuitive shifting and is not designed for trail riding, eMTB mode is just one more way that the bike can be ridden without distraction or thought. 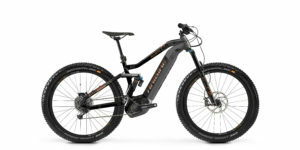 Just hop on, arrow up to eMTB, start pedaling, and the bike will respond naturally based on how hard you pedal. All current generation Bosch Performance Line motors weigh roughly 8.8lbs, which is more than Shimano, Yamaha, or Brose drive units. The CX produces more noise, especially in high power and a higher pedal speeds, and it also uses more energy… but it’s know for being reliable and having a good network of certified repair shops (through Magura). 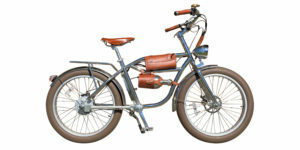 This motor responds based on three signals: rear wheel speed, pedal cadence, and pedal torque. It uses some of the most advanced sensors, and can even sense when gears are being shifted. However, that’s not really relevant with a NuVinci CVP hub, because shifting is so fluid. Even though you can shift while the motor is operating, I find that it’s more efficient and physically easier to do when you ease off a bit. 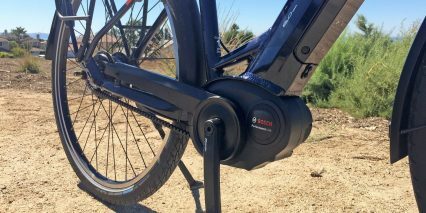 Aside from increased noise and weight, the one other trade-off with Performance Line drive units from Bosch is that they utilize a reduction gearing system that adds some pedal drag. 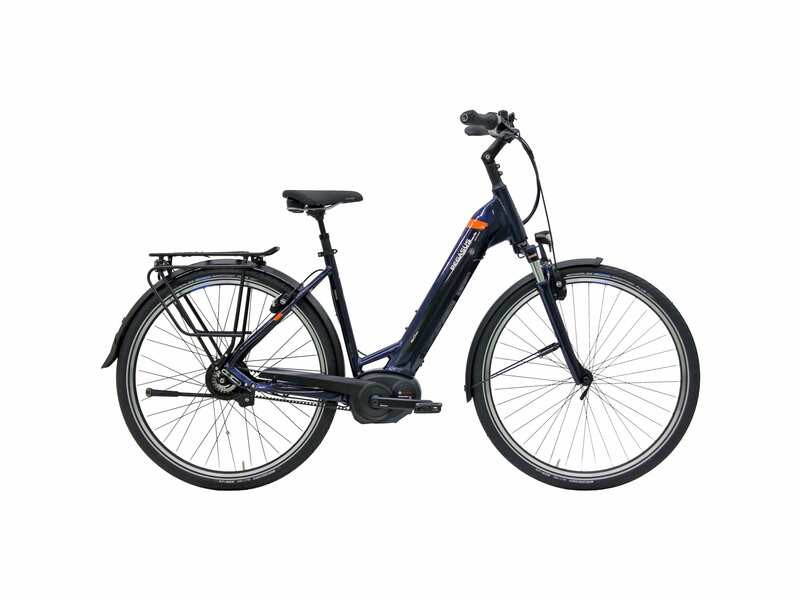 This only happens when the motor is turned off or you attempt to pedal beyond the maximum supported speed (20mph 32km/h, or 25km/h in some markets). 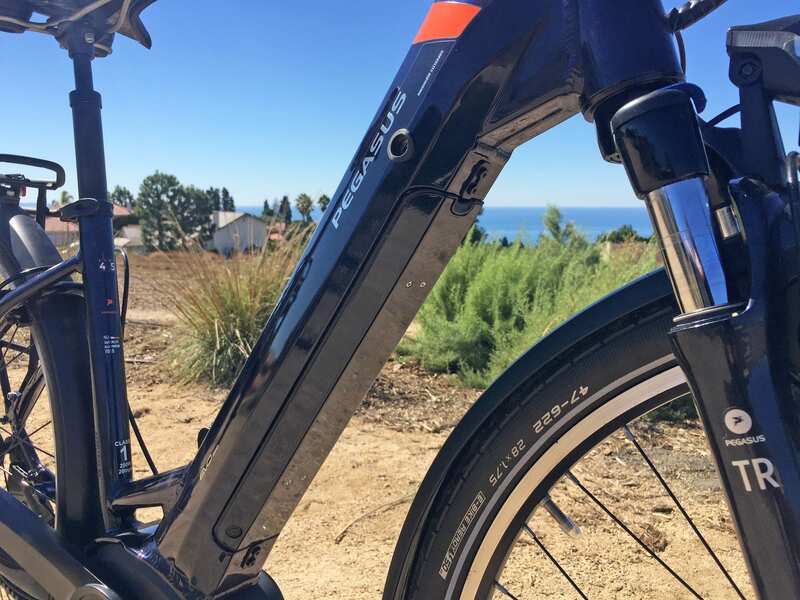 It’s not enough to ruin the experience, but when combined with the traction fluid drag introduced by a NuVinci CVP (especially within the first 500 miles of break-in) this ebike can seem a little sluggish. Keep this in mind when test riding at dealers, and know that it will get better with time spent riding. I love that PEGASUS opted for a belt drive here, and have never experienced a drop or derailment with the Gates Carbon CDX. This thing is quiet, lightweight, and about twice as durable as a chain (in terms of average lifespan). 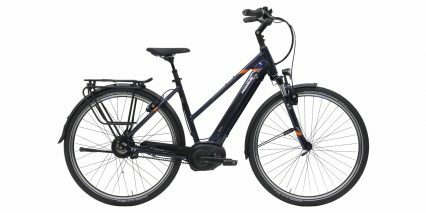 PEGASUS introduced plastic fenders and a plastic chainring/belt cover to keep your clothing clean and protected, which is great for those who might be commuting to work or riding with skirts or dresses. 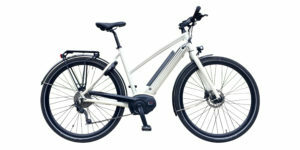 Powering all three of the 2019 PEGASUS ebike models for North America is a 500 watt hour lithium-ion battery pack from Bosch, called the PowerTube. It’s cross compatible between the models, even if you get a different frame style. 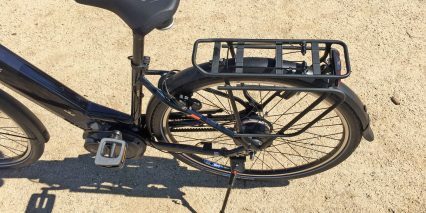 The pack seats upwards into the base of the downtube, and can be charged on or off the bike. Weighing in at roughly 7.2lbs, it’s one of the heavier batteries on the market right now, but that’s because of the alloy shield attached to the base. These batteries are known for being durable, and you can extend their lifespan by maintaining a 50% charge during long periods of disuse and storing in a cool, dry location. 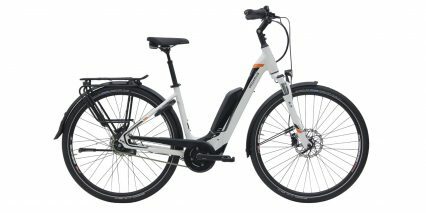 I’ve lived in apartments where I could not easily bring my ebike upstairs, and would remove the battery pack and store/charge it each evening. 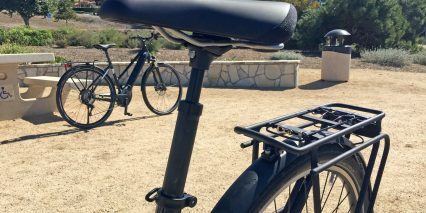 The same thing goes for longer commutes to work, I’d lock my bike up at the rack and bring the battery inside for a recharge. My experience with this particular battery has been a 30 to 80 mile range, depending on conditions and load. Having a faster four amp charger makes refills twice as fast as most competing products I’ve covered in recent years. 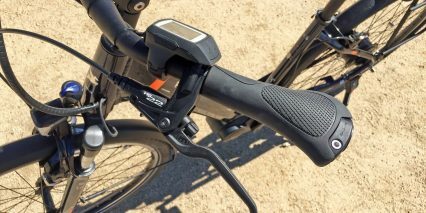 The battery has a five bar LED built into the end, so you can quickly determine how full it is, even if it’s being stored off of the bike. 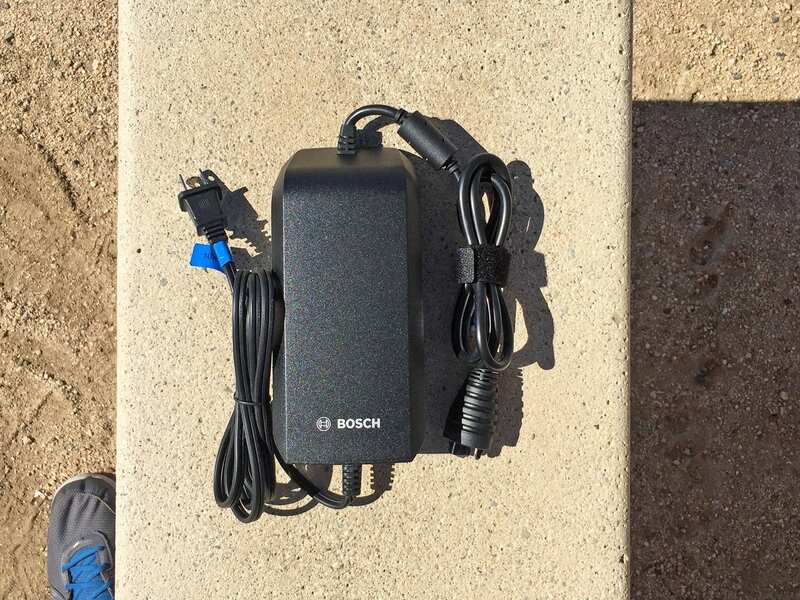 To break it down again, the battery pack itself weighs about 6.3lbs, but the shield adds some weight, and this can make mounting and dismounting it a little tricky. 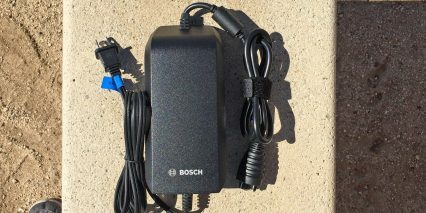 Bosch designed the pack to be removed in two steps. The first is unlocking, and it springs out to a catch. The second is pressing a little button to release the catch and then carefully pull it the rest of the way off. If you watch the video review above, I show how the removal process is handled, but don’t take the battery completely off because of the weight (I was filming with one hand and didn’t want to drop the battery with the other, or scratch the fender). It can be a little tricky at times, especially with a downward-release design. Some other companies have an upwards release battery integration with the PowerTube, but I love that PEGASUS used this downtube space for bottle cage bosses. Notice also how they reinforced the downtube with a mini section of top tube at the very base of the wave step-thru frame. This strengthens the frame, reducing frame flex, and may not have been possible with a top-removing battery. Note that the battery pack runs the motor, backlit display, and both headlight and tail light. 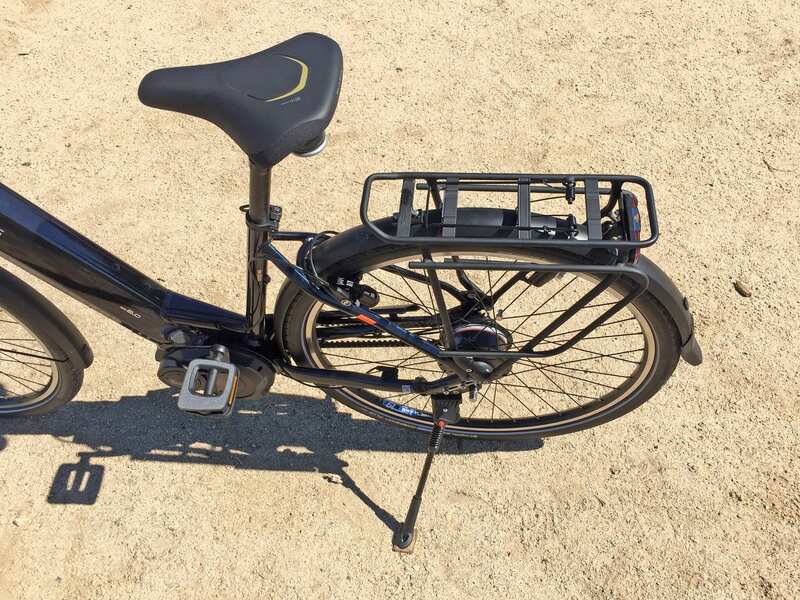 Once you’ve charged and secured the battery pack, operating the bike is pretty straight forward. The control panel consists of a grayscale LCD with four surrounding buttons. 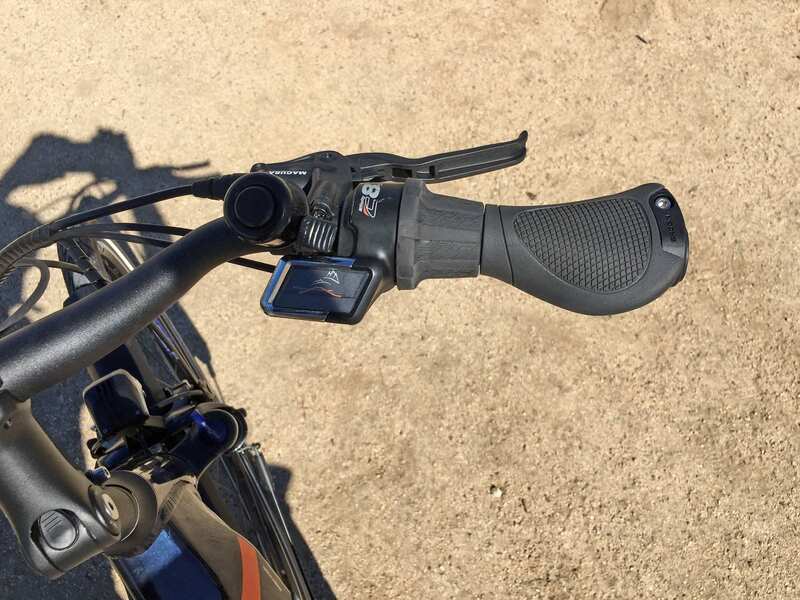 The power button is built into the top edge, a + and – button are reachable along the left front portion, and a walk mode button is built into the lower edge. Pressing the power button brings the LCD to life quickly, and a faint white glow is active at all times – making it readable in low lighting conditions. I’ve created an in-depth guide to the Bosch Purion display panel, with video overview, in the EBR forums here but want to call out some of strengths and trade-offs as they relate to the PEGASUS PREMIO Nu implementation here. First off, the display can be swiveled forward and back to reduce glare if the clamp mount is not over tightened. It’s not removable however, and the Micro-USB port on the right edge is not active for charging as is the case with the larger Bosch Intuvia. I much prefer the Intuvia for its size and additional menus (shift recommendation, clock, max speed, average speed, and trip time), and some shops can upgrade you to this display for ~$200. With Purion, you’ve got a streamlined and simple interface with the necessities including trip distance, total distance, and range estimate. 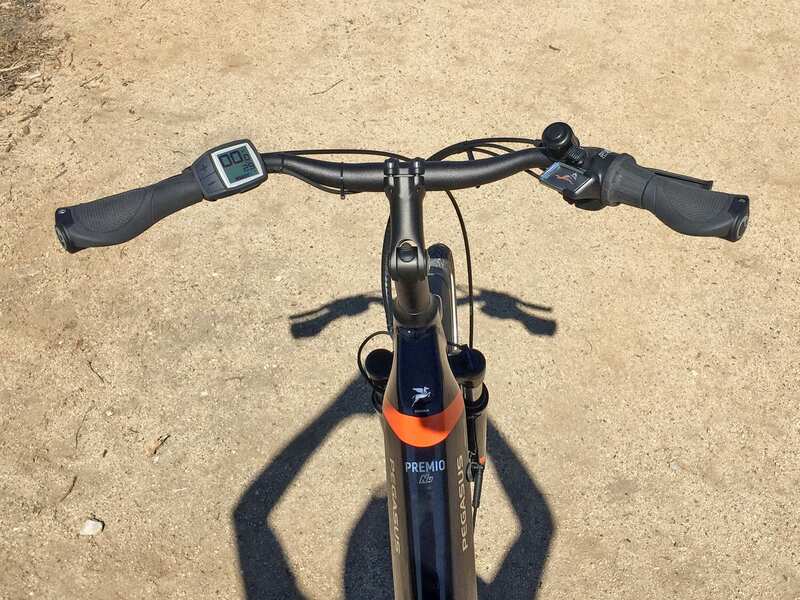 You can cycle through these menus by holding the – key, and you can reset trip distance by holding – and + simultaneously for a couple of seconds. The main portion of the display is used to show your current speed and assist level. If you’d like to change units from miles to kilometers, you simply hold – and tap the power button. Anytime you change from one assist level to the next, the menu briefly changes. 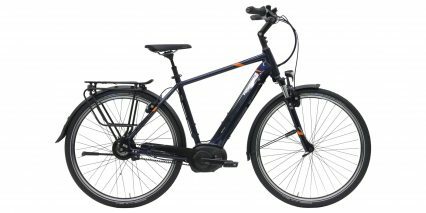 For an upright, urban electric bike with swept back handlebars, the Purion is effective and fairly readable. The buttons aren’t quite as consistent as Intuvia, and there’s no dedicated light button (hold + to activate the lights), but it gets the job done. If this was the only display that Bosch produced, I might be a little more enthusiastic about it here, it is a great display, I think I’ve just grown to appreciate the charging, removability, color, and Bluetooth features on some of their nicer displays. 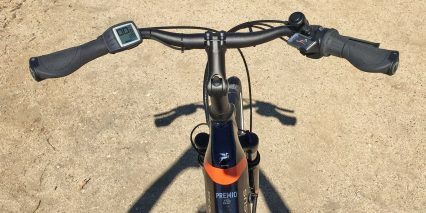 I noticed that most companies do spec the larger Intuvia display on their commuter bikes because they are removable and easier to read for aging riders with limited vision. Most of the mountain models spec Purion, to hide and protect the display. For me, it would have been worth an additional $50 or $100 in the price tag from PEGASUS for an upgrade here, but it’s not a deal killer. In conclusion, I really appreciate the attention to detail and quality parts that went into the PReMIO Nu. 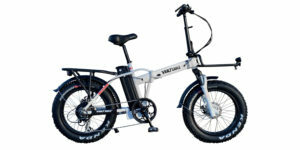 I like the PEGASUS branding and feel that this ebike looks stylish. Hydraulic rim brakes are a big win, because they don’t require as much hand effort as mechanical brakes and won’t stretch out… they tend to be more durable than disc brakes at bike racks, and the Magura HSI-22 model used here has tool-free adjustable reach for smaller hands and gloved hands! You’re paying more and additional weight for NuVinci, and it would have been nice to get the wide range N380 or updated Enviolo 380 SE to handle the Bosch CX motor, but it’s not the first time I’ve seen a configuration like this, and it seemed to work out well enough there. I think it’s cool that PEGASUS has been around for so long and invests in German cycling infrastructure. They seem to be a celebrated brand in Europe, even having a former Porsche CEO as a board member. They joined the BULLS family of companies around 2008, and appear to be doing well in Europe, positioned as a value urban-focused brand. 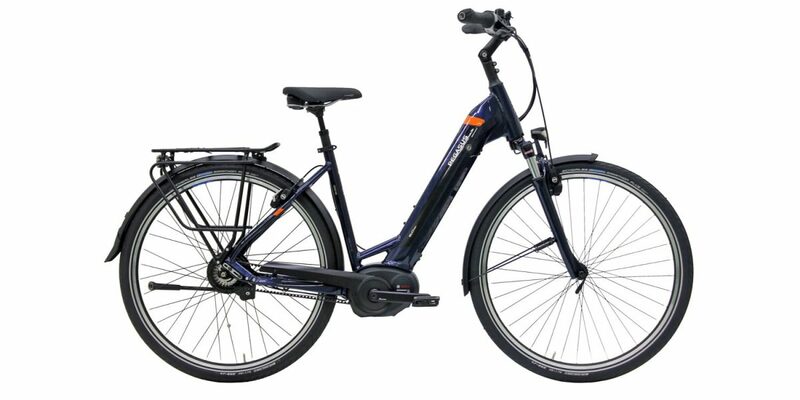 Keep an eye out for the two less expensive PREMIO model reviews coming up. The pedals were a highlight for me, being a bit wider and having a sandpaper grip texture vs. rubber. The fenders are name-brand SKS with additional attachment points to reduce rattling and noise. 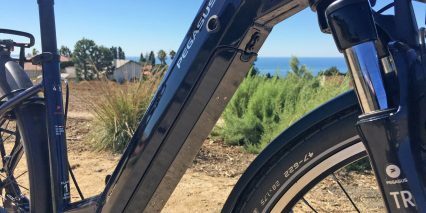 The taller 28-inch 700c wheels will span cracks and maintain momentum better than smaller sizes, and the 1.75″ diameter is a great compromise of comfort and efficiency. 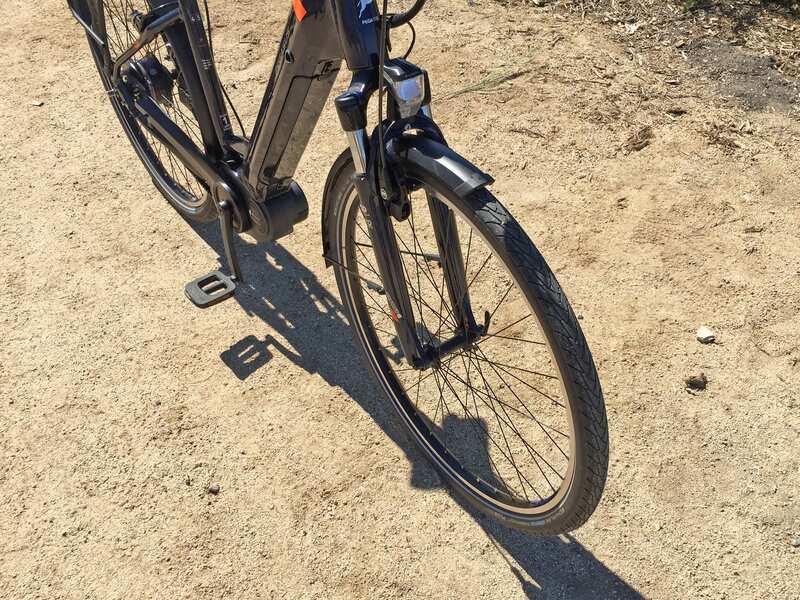 I was impressed that the bike could handle gravel trails and even larger rocks in this parking lot space during the review ride. It’s nice to have such a high quality rack with included mini-pump. Overall, the black accessories and drive system coverings match and blend with the dark blue. It’s a color scheme that reminds me of my home town Denver Bronco’s football team, and leans masculine compared to silver or another metallic. 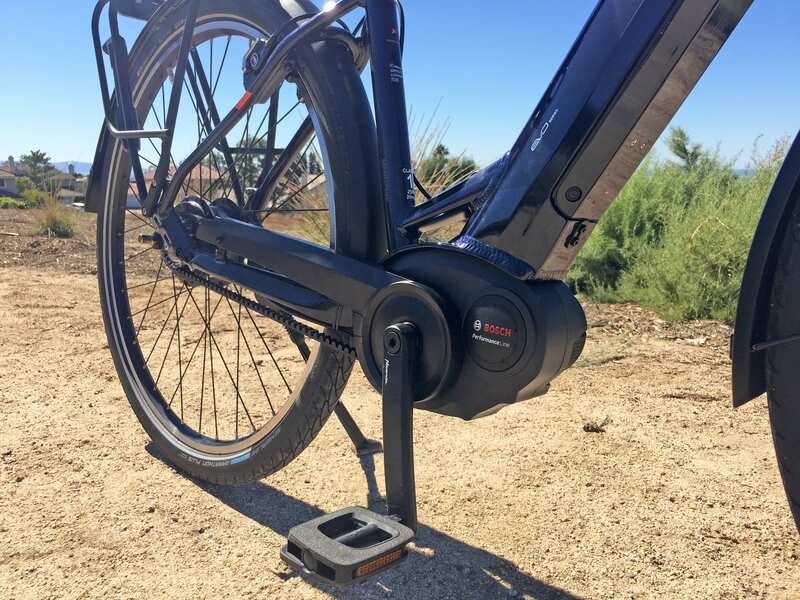 I really like the tool-free adjustable kickstand, scuff guards on the sides of the gel saddle (to protect it if the bike tips), the preload adjustability on both the suspension fork and suspension seat post, and the fact that the NuVinci is completely sealed with no recommended service interval… it just works. It would be nice to see a brighter backlight and have some flashing mode options for both lights, but that is extremely uncommon on pre-installed lights. At least that headlight has the side windows :) as always, I welcome feedback in the comment section below, as well as pictures, stories, accessory recommendations and more in the PEGASUS ebike forums here.